Can you Franchise While Keeping Your Current Career? Often times, franchisees decide to open their own businesses after retirement. Maybe they are phasing out of a job, or are seeing their current position come to an end. For whatever reason, they're going through a professional transition, and franchising is a natural way to find a new career. However, that's not always the case, nor should it be. There are those who regularly use franchising as a secondary job. They're not waiting to phase out of anything, but rather, to phase into more success. So, can you franchise without quitting or retiring? Absolutely. You might be working long hours, but anything worth having is worth working hard, right? And once a location is up and running, you'll be able to back off greatly and utilize your time elsewhere. Essentially, you might be focusing more effort up front, but your efforts will pay off (and then some) in the end. It's worth noting that many franchisees are already existing entrepreneurs. Whether they own a business or have that "go getter" personality, they are folks who put all of their efforts into making things happen. It's a type of person who will see much success within their venture. You know the ones, those who have their hand in all kinds of pots – they might own a few rental homes, have investments in local businesses, and so on. It's not to say that these professionals are any more talented or financially stable (after all, they had to start somewhere), but rather, they have the schedules that allow for starting a new business. By adjusting where their hours are spent, they're able to get a brand up and running without sacrificing on their first (or first, second, and so on) career. If you have more of a traditional setup, say a 9 to 5 position (and a boss who's not interested in being flexible), you're not out of the running, either. In fact, many franchisees have started their ownership under these circumstances. By working nights and weekends and fitting in tasks as their schedule allows (albeit a tight one), they were able to set up shop without quitting their job. In most cases, it's when these franchise locations become too busy that causes them to step away from their first career. That is, with the exception for those who enjoy their jobs and set out to have both in play from day one. Says who? While, yes you might be busy, tired, and have a growing to-do list, who says you can't make "it" work? So long as you go into the situation while being honest (with yourself and others), you can always fill in the specifics later on. Those who have a problem saying no, or who push for goals that are unrealistic are more likely to be stressed by having two jobs. With hard work and while giving yourself true goals, franchising with a full-time job is absolutely possible. Finally, it's a good idea to have this discussion with those close to you. It's likely that, for a few months, you'll be relying heavily on friends and family. While working two jobs, you'll need someone to help pick up the slack – even if that slack is just in the quality of time you're able to spend with others. You need to make sure they understand and are agreeable toward your decision. Married couples will likely need their spouse to help with things at home or with younger kids, when present. And if franchising with others, you'll need to be honest about your availability, what tasks you can take on, and so on. 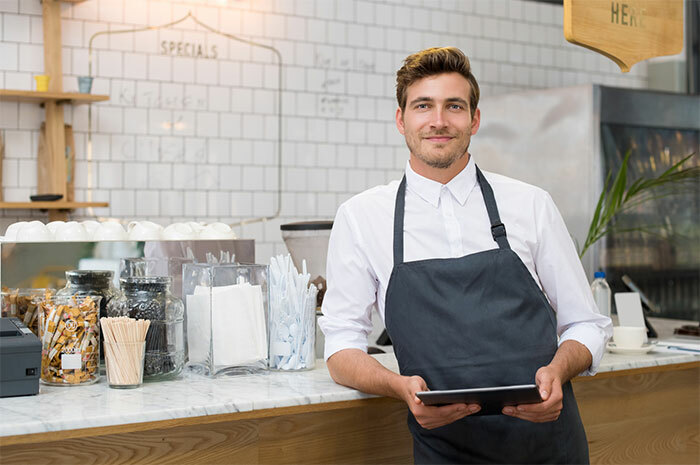 Though starting off your franchise with a secondary job might create a busy schedule, it's one that allows you to do it your way. To keep a steady income, the job you love, or both – all while pursuing your dream of owning your own business. To learn more about the process, or to learn from others who have been there first, check out previous blogs, including our popular success stories!